Everybody’s Scalin’ – Mt. 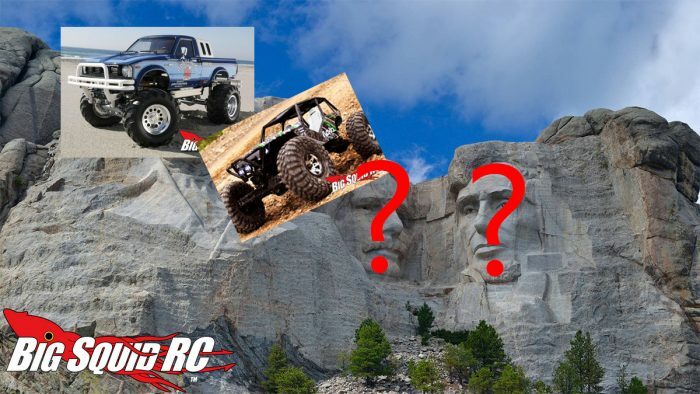 Rushmore of Scalers « Big Squid RC – RC Car and Truck News, Reviews, Videos, and More! It’s one of my favorite Fridays of the year- the kickoff to Labor Day Weekend! That means fall is about to arrive, complete with football, apple cider, and habitable temperatures. So with that in mind, let’s do something a little different. I had a fun conversation with friends awhile back where we were discussing- “If there was a Mt. Rushmore of American rock bands, who would be on it and why?” This wound up being quite heated and I had the thought that it would be fun to try and apply it to the world of r/c scalers. So before getting into my four picks, the main caveat with this list is that I’m only going to include scale crawlers for consideration, not comp style rigs. Ok, let’s get to it. The “George Washington” for this version of Mt. Rushmore, the Tamiya Bruiser is where it all began. Featuring solid axles, a leaf spring suspension with realistic looking shocks, a multiple speed transmission and a great looking Toyota body, this was the vehicle that old timers drooled over. The original kits are still some of the most sought after on the collector’s market. Tamiya has released other noteworthy trucks that could be considered for this list, but none have the notoriety of the legendary Bruiser. Or the price tag, ha. The OG Axial Wraith was a massive deal when it released back in 2011 as there had never been anything like it before at that scale. The trick looking rock racer was gigantic. It introduced the masses to the venerable AR60 axle as well as put 2.2″ scaling on the map. It has gone on to have many versions over the years, including its spiritual successor the RR10. Still though, the original is what got the whole thing going and this rig will never go out of style. The RC4WD Trail Finder 2 is in many ways a throwback to the Bruiser’s idea – realistic leaf springs and shocks, scale chassis layout, and a hard plastic body (heck, it’s even a Toyota! ), except built with the latest r/c technology in mind. This truck is a runner, not a shelf queen. The TF2 is the defacto kit for those looking to go the ultra scale route with a build and it has become a favorite in the BSRC offices. 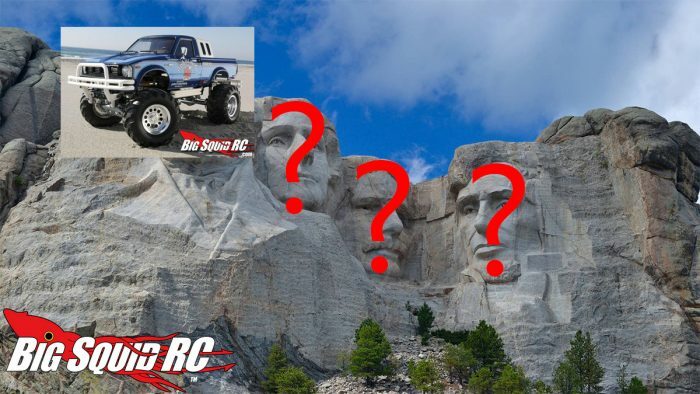 The SCX10 is arguably the most important vehicle on this list, and as such it has a whole lot of variations that have been offered over the years. It was the first modern scaler and helped start the madness. However, the very first versions of it had several gremlins (ahem, driveshaft grub screws, I’m looking at you!) so that’s why I didn’t go with the original offering, even if I have a great deal of nostalgia for it. I went with the JK version that released in 2013. It had all the kinks worked out to go along with the perfect licensing at the perfect time and scaling completely exploded into the mainstream. So there is my list. There are a couple others I thought about including, but four is four and honorable mentions are cheating! So, as we prepare to enjoy a long weekend away from work (at least the lucky ones!) let me pose a question- what four trucks are on your Mt. 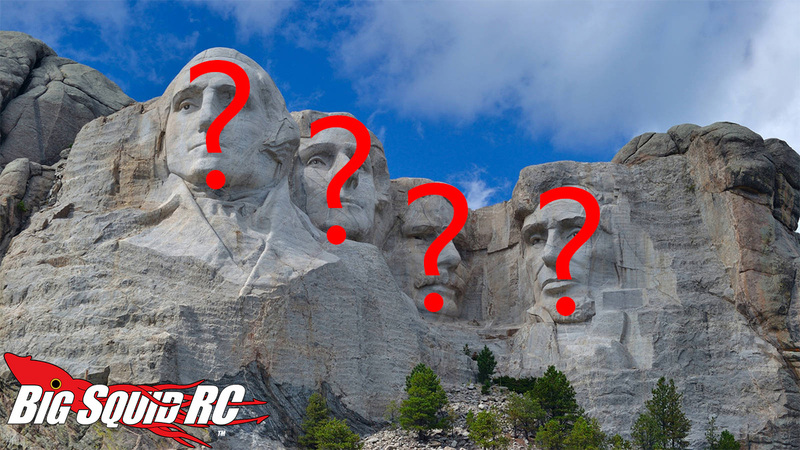 Rushmore?